Maryland is a great state to start a business. They really offer entrepreneurs, especially new business owners, a lot of support. Are you looking to open a bagel franchise in Maryland? Check out these 5 Top Bagel Franchise Opportunities in Maryland. Über Bagels & Deli has two locations in Maryland and is looking to expand. They are known for their large assortment of bagels and cream cheese spreads as well as a variety of breakfast and lunch items. Their Build Your Own Menu is also popular. Started in New York, New York Bagel Café & Deli has franchises for sale in Maryland. These bagels are made true New York style with 12 hours of fermentation to give them deep flavor and crust. For their franchisees, they offer a strong training program, to all their franchises. They will teach you how to use all their proven systems. Another bagel business Einstein Bros. Bagels has locations across the country and is always looking for new franchisees. They are known for their gourmet bagels packed with protein as well as the classics. They even offer sweet treats too. Einstein Bros. Bagels offers catering options and has a special customer rewards program called the Shmear Society. Big Apple Bagels makes everything from scratch and offers its customers more than just bagels including muffins, and breakfast and lunch sandwiches. They offer their franchisees a comprehensive program of training and support. Of the five in this list we are partial to Shmagel’s Bagels, which has the best bagel franchising opportunities in Maryland in our opinion. Here is what you can expect when you join the Shmagel’s Bagels family. You get an established, highly popular brand that will draw in the customers as well as a proven business model that includes recipes for all their special Shmagel creations, including Bagelninis which are bagels flipped inside-out and pressed. 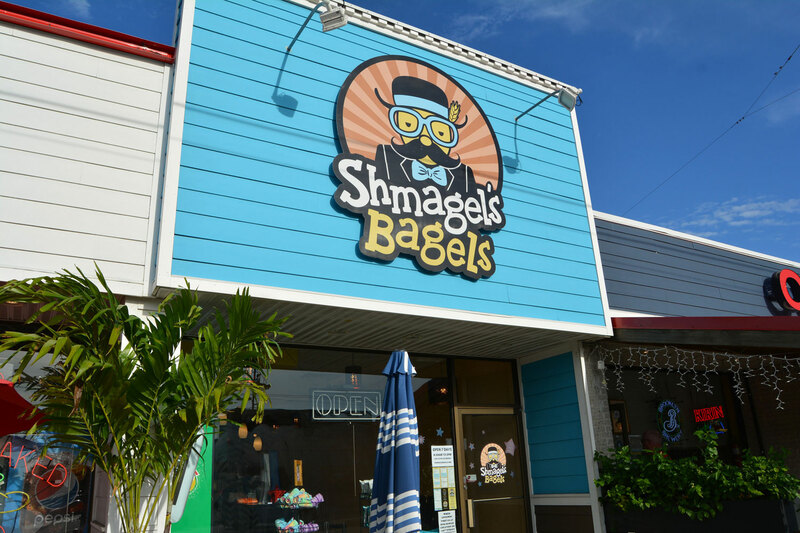 As a Shmagel Bagel franchisee, you will also have the ability to own multiple locations and benefit from low cost of entry that makes Shmagel’s Bagels one of the more affordable franchising opportunities out there. One of the biggest incentives of choosing to invest in bagel franchising opportunities is that you will have a support structure to help you get started. This is something you don’t have when you are opening a bagel business on your own. With a fast bagel franchise, the franchisor offers you training for you and your staff and will help you find your location and prepare for your grand opening. If you are new to being a business owner, this is especially attractive. You get brand power. There are a lot of popular bagel franchises like Shmagel’s Bagels who have strong brands that people immediately recognize. By choosing to go into the bagel franchise, you will benefit from sharing in the brand recognition. And there is still room for creativity. Although there is a definition structure and process to each bagel franchise, there are still opportunities for you to put your own personal stamp on your location. When you are researching and shopping around, make sure to ask what the rules and regulations are for each individual franchise. If some individual freedom is important to you, don’t sign on until you have the reassurances that you will have some creative control. For example, many bagel shops also offer fun and delicious sandwich options to keep customers coming back for lunch and dinner, even a midday snack. Bagels aren’t just for breakfast and there are plenty of ways to think outside the box. A bagel franchise is generally going to be an affordable business venture than owning your own bagel business. On your own, every little cost is on your shoulders, but with a bagel franchise, you pay a reasonable fee to be able to use the resources of the parent company. For more information about franchise opportunities and franchises for sale in Maryland, give Shmagel’s Bagels a call or send us a message.